A one-off Original piece of artwork. Graphite on Bristol Board Paper. 16x12"
Reference material kindly provided by Steve Tracy. 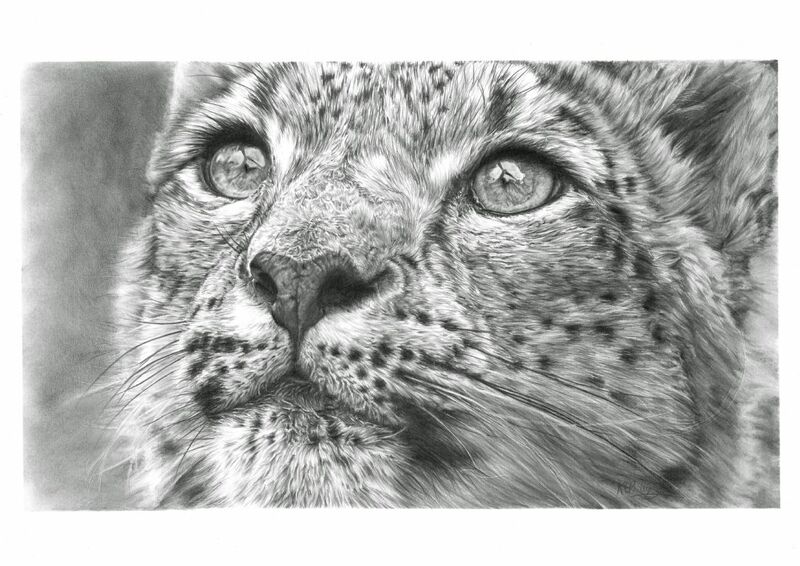 Black and white, Limited Edition Giclée Prints are now available of the beautifully detailed Snow Leopard Gaze.